Cities are increasingly shaping the economic and cultural life of our societies, thus we back them to take the best advantage from digital transformation and social innovation by helping local administrators design and implement their strategies and innovation policies as well as measure and interpret their impacts. We support city councils and public agencies in the design and management of policy labs, learning exchanges and collaborative projects to take the most of the experiences and lessons learnt from other cities in EU facing the same challenges. We are expert in several territorial cooperation programmes such as URBACT, INTERREG and Urban Innovative Actions. 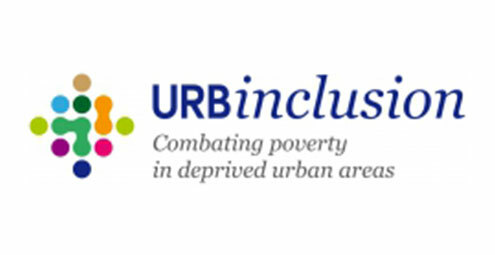 URBinclusion is focused on the co-creation of new implementation solutions to reduce poverty in deprived urban areas. A network of nine partners cities is implementing integrated strategies addressing social inclusion.